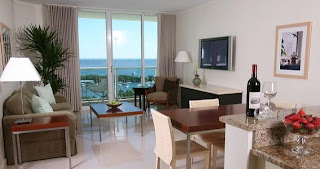 Guests at Sonesta Bayfront Hotel Coconut Grove are treated to guest rooms and suites with breathtaking views of the bay or the towns of Coconut Grove and Coral Gables, private balconies, luxurious amenities, and a high level of personal service. Panorama Restaurant, overlooking lush Coconut Grove and Sailboat Bay, offers a creative menu, including continental and Peruvian specialties. Attentive and innovative conference planning and catering staff can help create spectacular meeting and special events for up to 300 people in dazzling contemporary space.